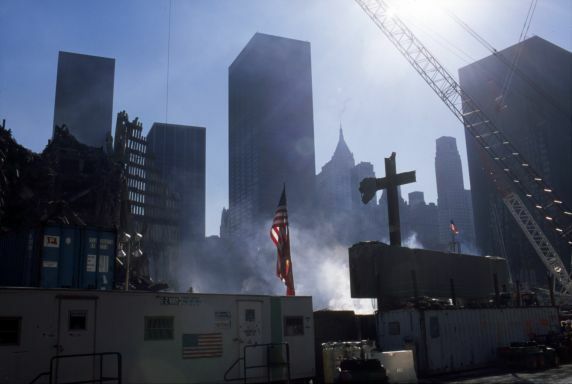 A cross and the American flag at the World Trade Center site, also known as Ground Zero, after terrorist attacks of September 11, 2001. Nine AFSCME members were among the nearly 3,000 lives lost. Many AFSCME members aided in rescue and recovery efforts. New York, NY, 2001.